With many years of experience, Speedminton's quality control process in manufacturing and the usage of approved quality materials, it is ensured that they provide only the best rackets for this fast and thrilling sport! By frequently testing our products, it is guaranteed that only EU certified materials are used in producing Speedminton equipment. 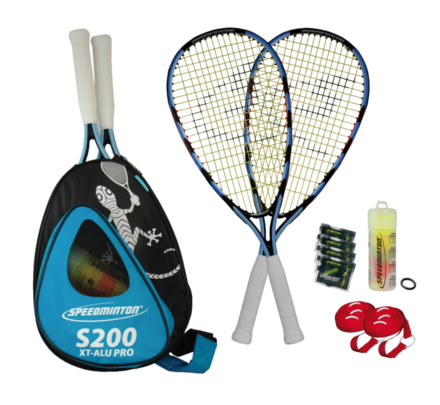 These are all reasons that more than 90% of all international pros put their trust in the Speedminton Equipment.The Speedminton® Set S200 – All you need to play Speed Badminton in one set! With a market share of 80%, Speedminton is the worldwide market leader in Speed Badminton equipment. Speedminton began marketing their first game sets in 2005 and have continued to grow since. By partnering with the ISBO and top ranked athletes, this gave Speedminton an opportunity to improve the quality of their equipment. In support of the sport’s development, Speedminton donates to various Speed Badminton organizations throughout the world. This intermediate set includes 2 aluminum rackets, cones, and 5 Speeder™. The hardened aluminum rackets included in this set have a Mega Power Zone (MPZ) for additional power of impact. The Mix Tube contains one FUN Speeder™ for beginners and short distances, two MATCH Speeder™ for game play, one CROSS Speeder™ to play in a variety of outdoor conditions and one NIGHT Speeder™ for night play. When it comes to outdoor play our family has so much fun. Having activities that we can all do together is our main goal every time. 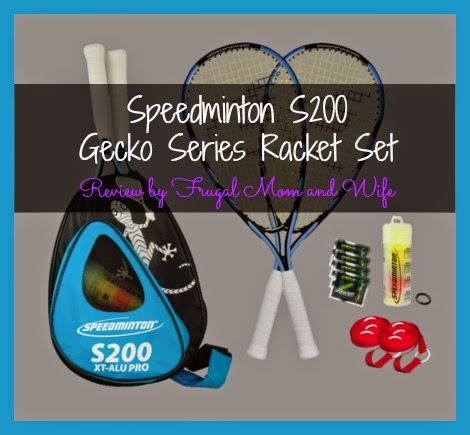 We have gone through our fair share of racket sets and were greatly disappointed until I came across the Speedminton Gecko Series. Now most sets from other manufacturers claim they are complete until you open them up and find out they just don't cut it. Whether they left our a key item or the quality is greatly poor. The overall quality of the Speedminton rackets and included items where not only outstanding in their design but you can see the fine craftmaship down to the very last detail. Not only was the kit complete but had additional items that I have never seen in a set and was amazed that I had never thought to use them. Our family put this racket set through a rigorous test of wear and tare, the set still proceeds above the rest. 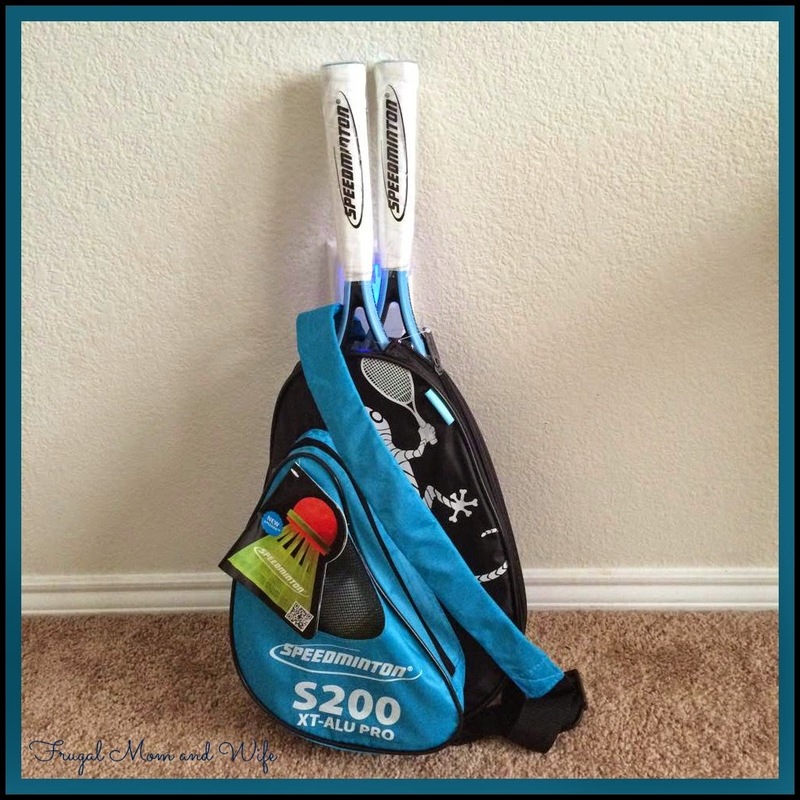 Buy right the first time and get everything you need to have an adventurous Badminton game with Speedminton rackets! 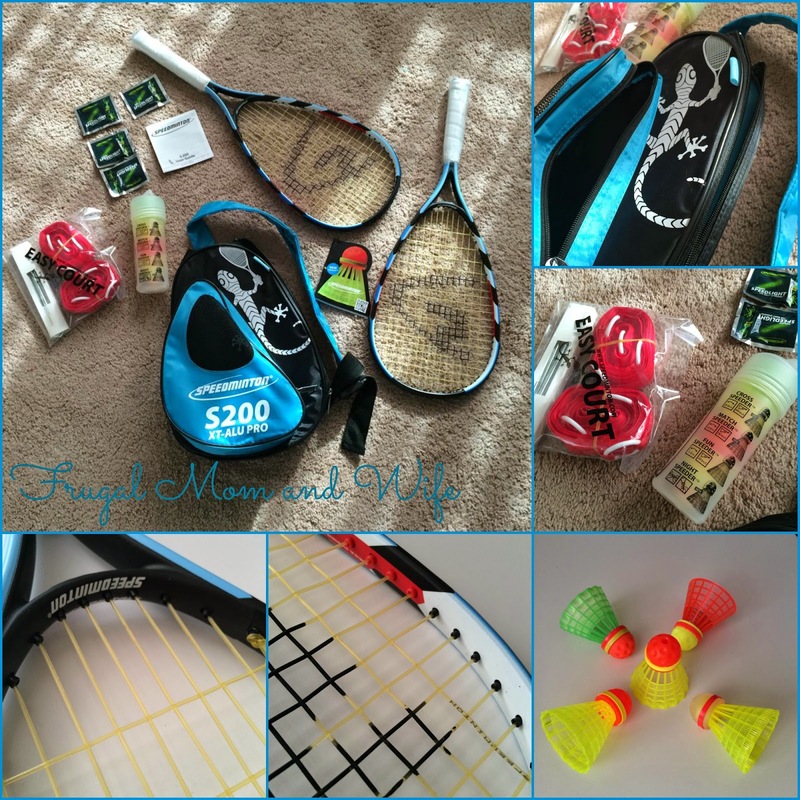 Speedminton® Sets are available for both beginners and experts, and contain everything you need to play by day or night. Multi-sets are available for clubs, schools, gyms and indoor tennis court operators and contain everything you need for instruction, workout and competition. They can also put together a special team set just for you. Speedminton®, a Berlin based company, has given the world the sport of Speed Badminton.